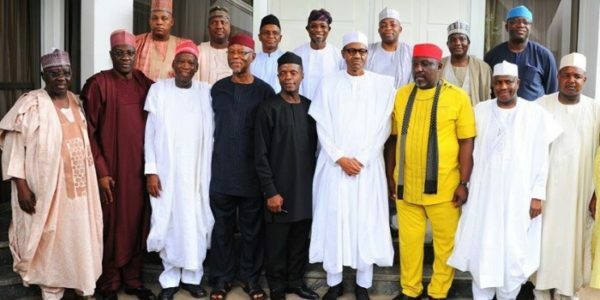 This came as the National Executive Committee, NEC, of the party in Abuja, yesterday, deferred an ‘informal’ motion to endorse an automatic second term ticket for the President. Speaking with journalists before the NEC meeting started, Nasarawa State governor, Umar Tanko Al-Makura, said for now, there is no better candidate than the incumbent President, who he described as the most impeccable man that could be found around. ’I can tell you if there is anything that is clandestine, the President will not honour it, so let us wait and see. As we embark on these meetings, I believe the consensus and the preponderance of opinions of all party members will be what is good for this country, and we have already known the will of God for this country. On his part, Kebbi State governor, Atiku Bagudu, said the performance of the President in the over two years he had been in the saddle, is something that will work in his favour ahead of the next general elections. The governor said he will throw his support behind the President should he decide to take another shot at the office. “I think for APC members, it is a democratic party, but the performance of the President in the last two and half years suggests that if he wants to contest, l will certainly support him and l know that our party members feel the same about him,” he declared. Speaking in a similar vein, Plateau State governor, Simon Lalong, said the party has no choice than to field the President for the 2019 elections. “Concerning the issue of a sole ticket for Mr President, I want to say that if Mr President is performing, well-respected and carrying everybody along, all of us have resolved that we will work for him.